New Delhi, March15 (newsin.asia): In contrast to China’s development projects abroad, India’s projects are “largely demand-driven” said India’s Foreign Secretary Vijay Gokhale to an Indian Parliamentary Standing Committee on External Affairs on February 16. The report of the committee was tabled in the House last week. “Indian assistance should not be seen through the prism of competition from any third country, including China,” was his plea. 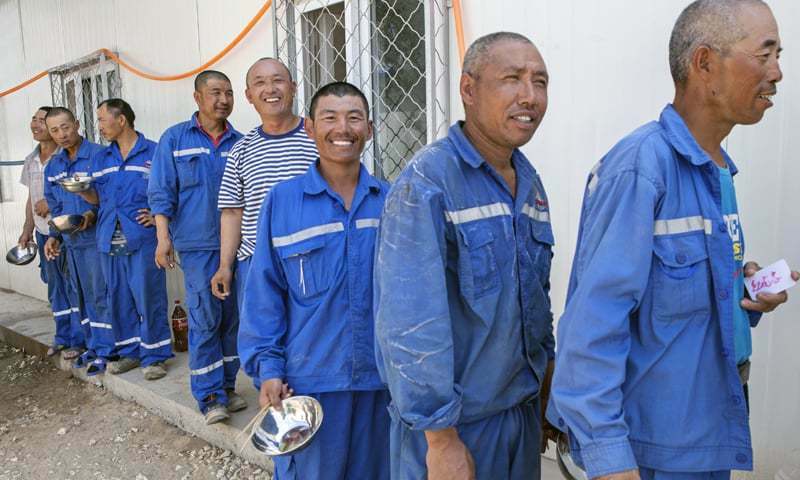 Gokhale noted that a lack of local resonance has marked Chinese projects in some places. Experiences of increasing debt and high interest rates as a side-effect of the Chinese credit lines are “giving pause for thought” to India’s neighbors, he said. There was rethinking in Myanmar about China’s plan to build a mega port and industrial zone in Kyauk Oyu in Rakhine State. The concern in the Southeast Asian nation was that the sheer size of the port does not appear to be something that the Myanmar government is going to utilize any time soon, Gokhale said. However the Indian Foreign Secretary admitted that China has a clear advantage as a “very substantial net exporter of capital infrastructure”. “ This is was a result of its $12-trillion economy, as well as the vision of President Xi that China will spread its presence abroad in an effort to protect its interest”. India is funding projects too ,but on a smaller scale, he said. Bangladesh has got the largest amount of Indian line of credits amounting to US$8 billion. It is followed by Nepal (US$1.65 billion), Sri Lanka (US$1.5 billion), and Myanmar (US$700 million). Gokhale acknowledged that re-evaluations of the cost of China’s large overseas project may not be enough to stop the Chinese juggernaut. “That is cold comfort to us in the sense that they are making headway in infrastructure projects in our neighborhood,” he told the 12-member parliamentary panel. “I think, the effort of our government in the last few years has been, therefore, to try to build some of the infrastructure projects which are of interest to those countries in our neighborhood,” he explained. 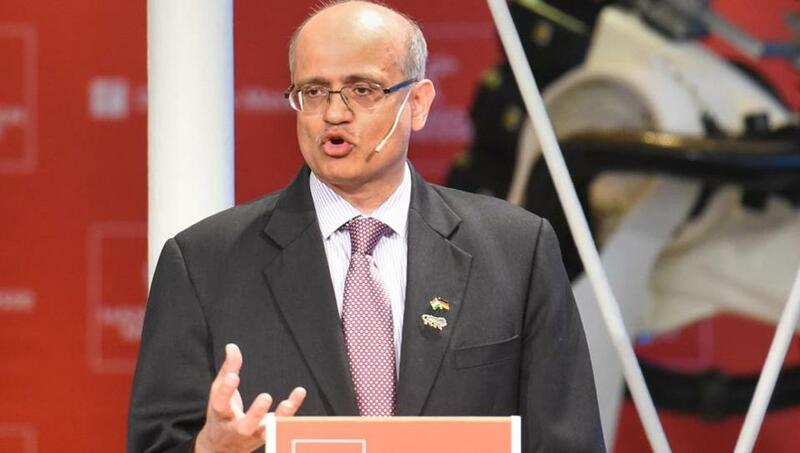 India has been attempting to wean the neighbors away from China, Gokhale said even as he post-faced it with a realistic admittance of superior Chinese capability. Gokhale, who had been India’s ambassador to China from January 2016 to October 2017, began his list of examples of Beijing’s controversial projects in the neighborhood from Sri Lanka. Citing the Hambantota port, he stated that it is “generally accepted” to be an “economic burden for the Sri Lankan government”. “Of course, the consequence of that has been that the Sri Lankan government had to lease out the land as equity in order to meet its debt obligations,” he added. Sri Lanka entered into a debt-equity swap with China Merchants Port Holding Company to get a majority stake for 99 years in the Hambantota port for $1.1 billion. Moving to Bangladesh, he said that Chinese President Xi Jinping’s generous gift of soft loans may be getting delayed. “There has been some rethinking there,” he said. “This has been due to much of the Chinese loans being offered at interest rates comparable to international interest rates, coupled with an insistence on on buying Chinese equipment rather than tendering on international basis”. When the panel inquired whether MEA could formulate a “grand strategy”, Gokhale gave a strong pushback. “My own sense is that we are still at the beginning of what is going to be the shape of things to come”. The Indian foreign secretary replied that “having a grand strategy when the world is in such flux, might land the Ministry of External Affairs with the pitfalls that the Standing Committee might then question us as to why we thought something was going to happen and did not”. While he said that it would be difficult for India to formulate a strategy with the geopolitical situation still evolving, the Indian foreign secretary said that India “should and do have our worldview”. The Indian worldview “essentially centred on the concept of Vasudhaiva Kutumbakam (One World One Family),” asserted Gokhale. He acknowledged that more work “needs to be done in fleshing that out”, but added that the intention as per the references made by Indian leaders under the concept “is not to fall between two stools”. Gokhale said that the world was moving back into an age “where two countries, United States and China have put forward ideological position about what Foreign Policy consists of”. China, just like the US, was becoming evangelical about exporting its ideology, even though “for 30 years, essentially talked of socialism with Chinese characteristics and that they did not export their policy”. He pointed out that China had in the Party Congress last year “explicitly” mentioned that the “our model of economic development is something which can be shown to the rest of the world”. The Congress had also showcased, he stated, a “concept of the community for the shared future of mankind, their sort of overarching theme on political relations is juxtaposed to the United States Cold War System of Alliances”. “Now, how far this will go is a matter of debate, but we need to watch it,” he added. Gokhale had also pointed out that under this new aggressive posture, Chinese had taken unprecedented steps establishing foreign bases and sending military personnel abroad. While in the Djibouti base in Africa, Chinese President Xi Jinping had addressed troops donning a military uniform.